Are you looking for some beautiful quinceanera flowers and centerpieces? Our Dallas florists have some of the most unique flower decorations in the whole city. 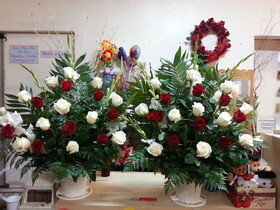 Find creative bouquets, table arrangements, centerpieces, grand entrance arrangements, and other specialized decorations! Our custom floral designers will help you find the right flowers at the right price. !